Heat an 11-12 inch heavy-based skillet over medium-high heat. Add the oil and the butter. 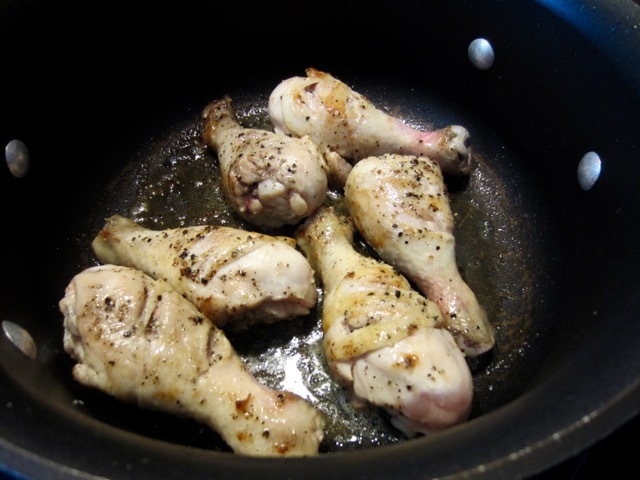 and fry until lightly browned on all sides, then, reduce the heat to medium-low, cover the skillet with a lid and let the drumsticks fry gently for 20-25 minutes, turning regularly, until fully cooked through, right up to the bone. 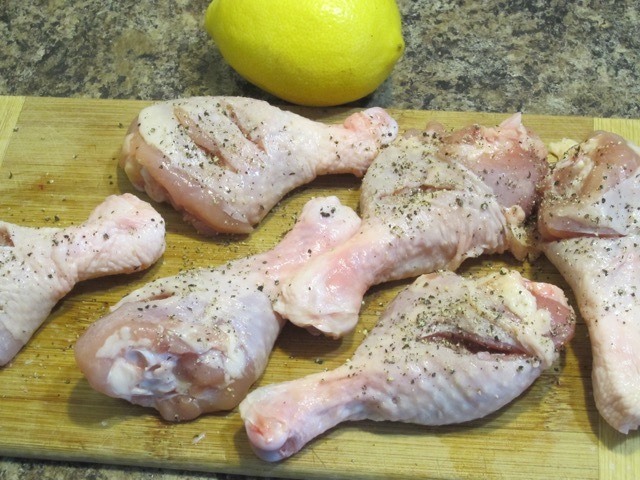 Once the chicken is fully cooked add the extra butter, if necessary, garlic and lemon juice. Let the butter melt completely then baste the chicken, and turn off the heat. Add the chopped cilantro, cover the skillet and let the flavours infuse for a few minutes before serving. 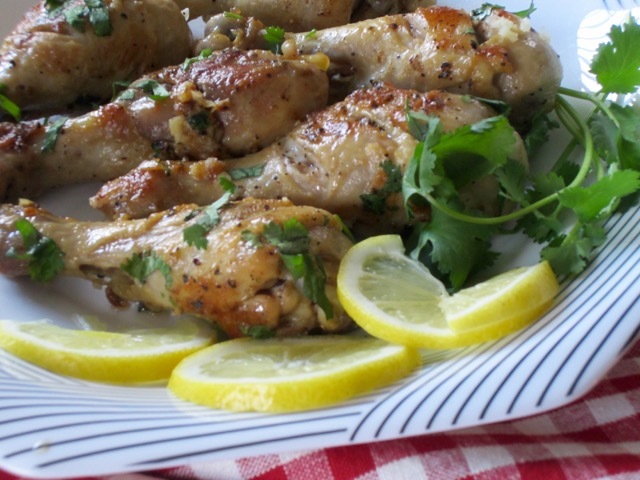 Generously season the drumsticks with salt and freshly ground black pepper. Heat an 11-12 inch heavy-based skillet over medium-high heat. 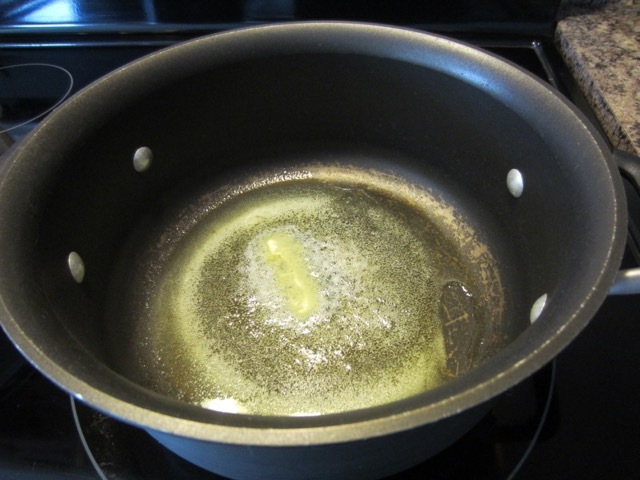 Add the oil and the butter. 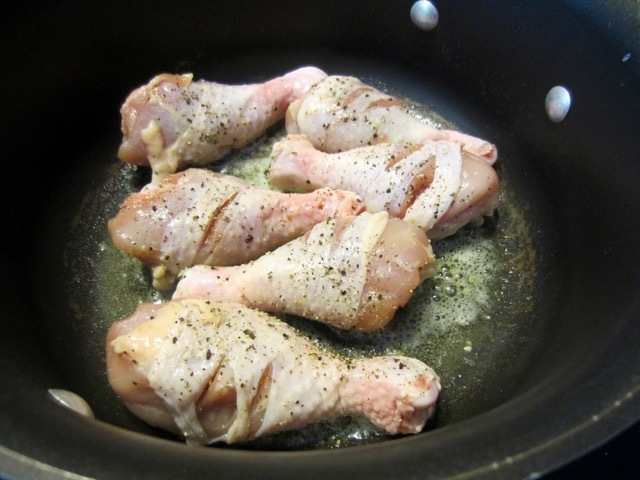 When the butter is foaming, drop in the drumsticks, and fry until lightly browned on all sides. 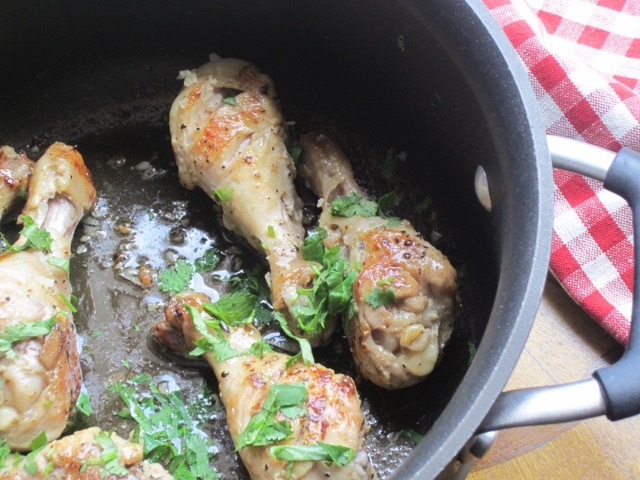 Reduce the heat to medium-low, cover the skillet with a lid and let the drumsticks fry gently for 20-25 minutes, turning regularly, until fully cooked through, right up to the bone. mmm thigh is my favourite part too! 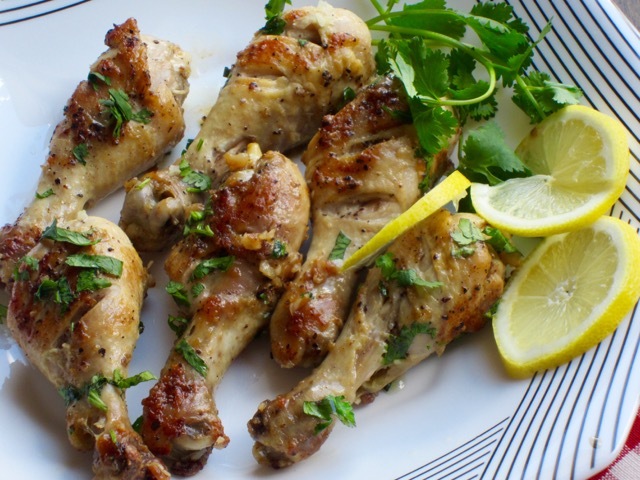 Hi Liz – I’m with you, not my favorite chicken part but these look super tasty -Kat. I have been living on drumsticks. Not yet used to them though!!!! 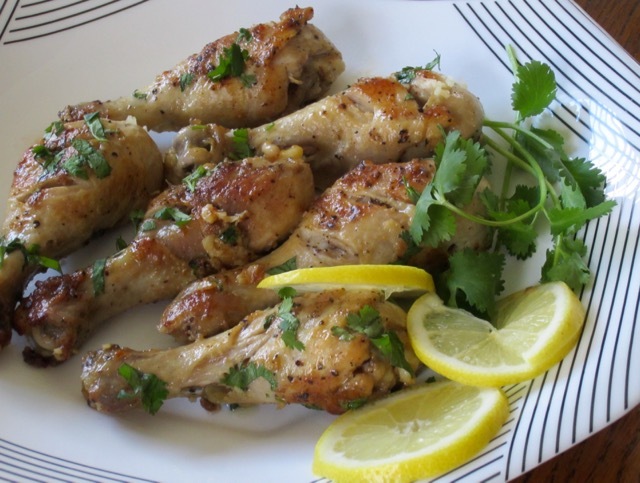 I am not a huge drumstick fan either, but I would eat these in a minute. I love the flavors! This chicken looks delicious! I love cilantro! I love cilantro too! I always have bunch in my fridge! 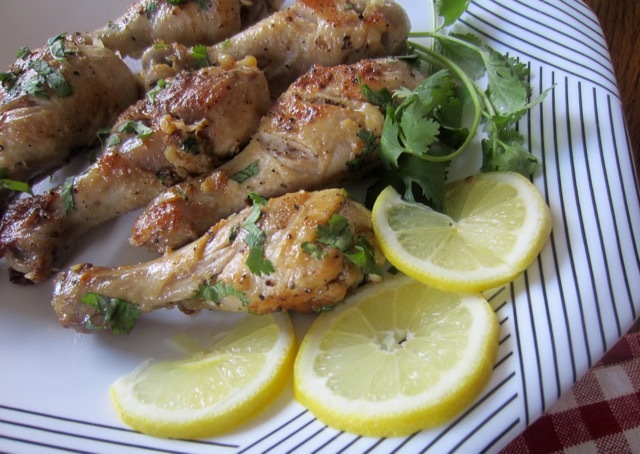 Mmmmmm – lemon AND butter !!! My favorites!! !